Most orchid genera found in nature have descriptive names, usually based upon the Greek language but with Latin endings. For example the genus Dendrobium is based upon the Greek dendron, meaning tree, and bios, meaning life. 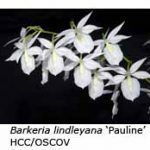 But a relatively small number of natural orchid genera have been named in honour of botanists, collectors or growers who have made a significant impact on orchidology. George Barker, William Brass, John Clowes, William Cattley, John Ross, Jose Restrepo, Henri Jumelle, Jose Masdevall and Don Francisco de Angulo are the names of a few who have been honoured in this way. 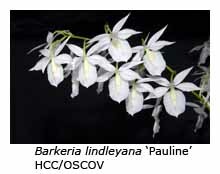 For example, the Central American genus Barkeria honours the orchid enthusiast George Barker of Birmingham. He was the first to flower the type species, Barkeria elegans. William Brass, an eighteenth century botanist who collected in Guinea and South Africa, is honoured by the central American genus Brassia; the type species is Brassia maculata. The genus Cattleya honours the English hobby grower William Cattley, who flowered the type species Cattleya labiata. The genus Rossioglossum was named in honour of J. Ross, who collected orchids in Mexico in the 1830s, while the genus Miltonia honours Lord Fitzwilliam Milton, a keen British orchid enthusiast. Finally, the unusual American genus Stanhopea honours Philip Henry, fourth Earl of Stanhope. Jumellea is a large genus of orchids centred in Madagascar. The name honours Professor Henri Jumelle, a French botanist. The genus Masdevallia was named by Ruiz and Pavon in honour of a Spanish botanist, Jose Masdevall, while the genus Restrepia, also centred in Ecuador, Colombia and Peru, honours the Colombian explorer Jose E. Restrepo. Finally, the central and South American genus Anguloa was named by Ruiz and Pavon in honour of Don Francisco de Angulo, a Spanish naturalist and physician. Numerous orchid genera were also named after historical or mythical figures. For example, the South African genus Disa was named after the mythical Queen Disa, who was delivered to her husband clad only in a fishing net! Disa uniflora is the type species, and it is probably significant that the markings on its dorsal sepal resemble the mesh of a fishing net. 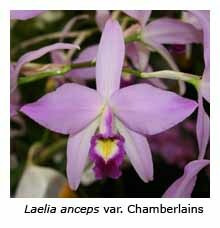 The European terrestrial genus Serapias was named for the sacred bull of Memphis, known as Serapis to the Greeks, while the popular American genus Laelia has the same name as one of the Vestal Virgins, whose chief duty was to maintain the sacred fire in the temple of Vesta in ancient Rome. So far, this article has been confined to those genera, numbering approximately nine hundred, that occur in nature. There are also a great many other orchid genera that have been created by man by interbreeding these natural genera. According to a list of orchid registration names available from the Port MacQuarie Orchid Society there are now over 650 of them. As far as I am aware, all inter-generic primary hybrids have been named by combining parts of the names of each of the parents. 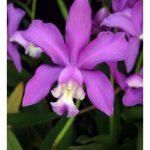 For example the hybrid genus bred from Epidendrum and Cattleya is Epicattleya, while inter-breeding the genera Odontoglossum and Cochlioda gives the hybrid genus Odontioda. There are almost 400 other inter-generic hybrids bred by crossing one natural genus with another. When a third genus is brought into the equation, naming the resultant hybrid by combining their three names can result in an unpronounceable tongue twister. 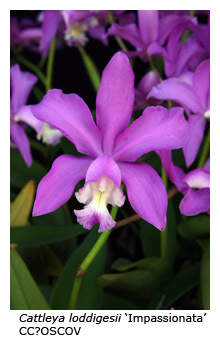 For example, crossing a sophronitis, a laelia and a cattleya (two steps are required) produces a Sophrolaeliocattleya, usually abbreviated to Sic. Most hybrid genera based on three or more genera are therefore named using a different system. They are usually named after a person well known in the orchid world, the suffix -ara then being added to the name. 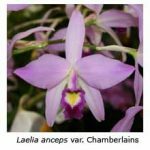 At least 270 inter-generic orchid hybrids have been named in this way. Monkhouseara = Aganisia x Batemannia x Colax x Otostylis x Zygopetalum x Zygosepalum. The last of these inter-generic hybrids involves no fewer than six natural genera, and makes you wonder how far the hybridists will go in creating new genera – and whether there will be any further improvement in the progeny if the breeding line is continued. Actually the hybridists have already gone one step further than a Monkhouseara by additionally incorporating the genus Promenaea. It’s known as a Masonara, abbreviated Msna.